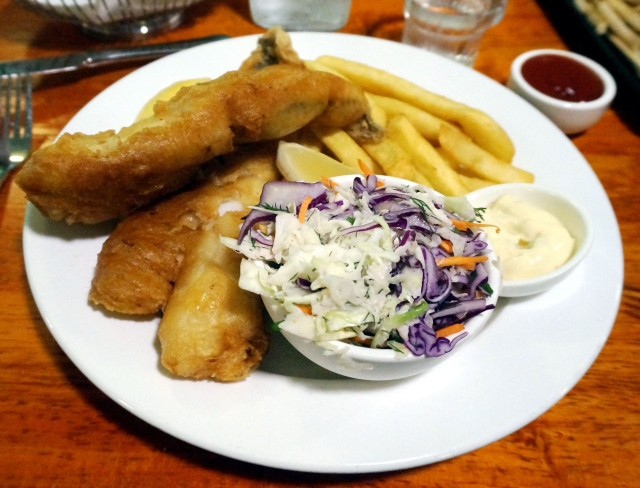 Fish and chips is a ubiquitous menu item. Hearty and cheap this dinner dish costs $15 USD. Food in Australia is cheap by US standards – our favorable exchange rate (~ 4 AUD per 3 USD) makes eating here even cheaper. Yet the starting minimum wage for the lowest skilled worker is $17 per hour.